The move by publishers to offer subscription services is part of the wider trend of disintermediation in the book trade. For what seems like a very long time book publishers have enjoyed a relatively stable symbiosis with book sellers. It was balanced on the principle that publishers would maximise revenues overall by selling books through bookstores rather than by chasing higher margins selling direct to readers. The generally accepted wisdom was that bookshops provided a showroom space for readers to discover books, and these showrooms reached a much larger audience than publishers could hope to achieve on their own. The digital revolution has changed all that and now both publishers and booksellers are fighting for relevance. As online and digital book sales force more and more bookstores to close their doors, publishers must compensate for tighter margins and the decline in physical display space by finding new revenue streams and sales channels. This doesn’t necessarily mean re-inventing the wheel, however, and publishers don’t have to look far to find ideas. Subscriptions are already used effectively by literary journals and magazines, especially in niche genres such as Sci Fi & Fantasy, Poetry, Romance and so on. Many smaller independent publishers, with poor representation in bookshops, have also been offering subscription services to their readers for years. • Subscriber databases are information rich and provide more granular sales data than publishers receive through retailers. While third party subscription companies like Oyster, 24symbols and Total BooX intend to aggregate eBook content from a wide variety of sources, publishers rely upon their own reputation as “aggregators” of high quality authors, often focused around a specialist genre or niche subject. The first challenge for many publishers is transferring their B2B street cred with bookshops into a B2C brand that will be recognised and followed by readers, as Joe Wikert explains in his recent article Moving from industry brand to household brand name. There are a lot of good reasons for readers to get their books directly from the publisher. By subscribing a publisher readers ensure that they a steady flow of books from their favourite authors at a discounted price, typically before the books are available to the general public. Many publishers also reward subscribers with special collector’s editions and other exclusive content and access. Larger publishers with a wider range of titles may look to divide their list into distinct verticals that allow readers to pick and choose which specific genres and subjects they wish to subscribe to. So how do publisher subscription models work in practice? Get your e-mitts on every new Angry Robot ebook published between now and 12 months from now. That’s a minimum of 24 eBooks for one, small, up-front price! Publishers don’t have to offer their entire range to subscribers, however, and there are a number of ways that they can break subscriptions down into bite size chunks for their readers. Twelfth Planet Press is another Speculative Fiction publisher, this time from Australia, who offers subscriptions, but their Twelve Planets Subscription package is restricted to a specific series of 12 books, published over a two year period. 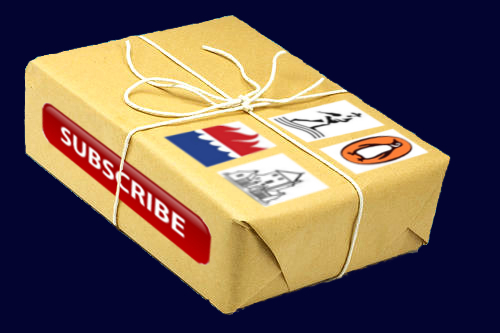 Larger publishers, with a higher output of titles need to break the subscription packages down even further to ensure that their subscribers are able to pick and choose the books they want to read, without having to pay for dozens of books they’ll never open. This is true even for niche publisher like Harlequin who, despite specialising in Romance, have divided their list into several sub-genres. Subscribers are given the option of receiving a specified number of new eBooks each month from a one of six categories, including Historical, Steamy, Desire and Thriller romance. For the largest of publishers, with an extensive range of titles in eBook format, there is the option of turning their backlist into a Digital Library, available to the public for a monthly fee. This provides a convenient way to generate new revenue from titles that might otherwise have gone out of print. Like the other subscription models above, digital libraries probably work best when they are curated into usable verticals and marketed to targeted customers and reader groups. This was the approach of Safari Books Online, which started out back in 2001 as a collaboration between the computer and technology publishers O’Reilly Media and Pearson Technology Group. Since then it has grown to become an independent aggregator in its own right, featuring over 21,000 titles from all the major technology publishers and now even outsourcing its subscription platform software as a solution for other publishers. These publisher subscription examples above are just a few of the ways that publishers are starting to restructure their revenue models to account for the loss of physical bookstores and open up new sales channels directly with their readers. Subscriptions not only help publishers make a sales connection with their audience, they help reshape the financial structure of the entire publishing process, reducing the risk for the publisher and, by extension, the author too—although it’s still far from clear how new subscription models might affect the author/publisher relationship. What is clear is that the ease of distributing eBooks direct to consumers allows publishers to focus on their true value proposition, which is the selection and production of high quality reading material, and their reputation as a producer of high quality content will be the basis of their B2C branding efforts in the future. Just look at other media companies who have built household brands based around high quality content and a consistent, recognisable niche, such as Disney (family entertainment), HBO (TV drama) and The New Yorker (long form journalism). So get ready to see many more publishers announce their own versions of subscription services over the next few years, as they focus their sights directly on readers and try to turn their publishing logo into a widely regarded stamp of quality. « Are eBook subscription sites going to change the way we buy books?